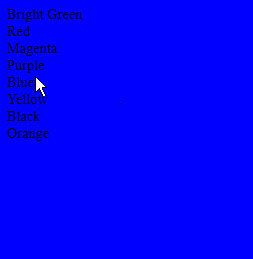 In this post, the working of onmouseover event is shown by changing the colours of a paragraph by taking the mouse over a particular colour. 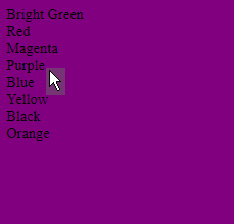 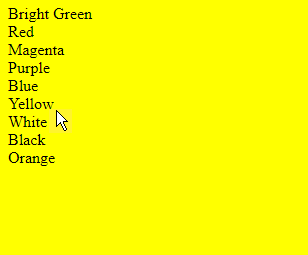 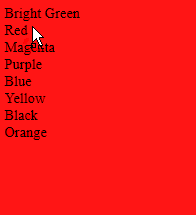 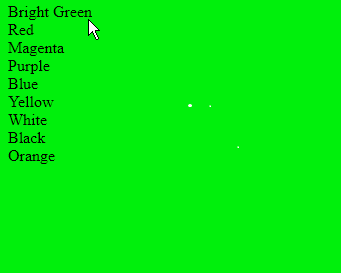 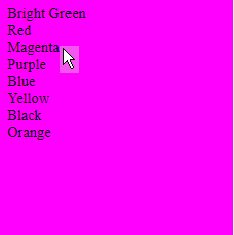 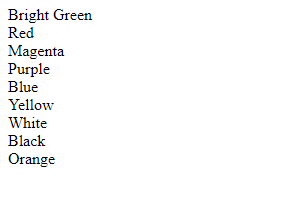 HTML code that will change the colour of the background when the mouse is moved over a particular colour. 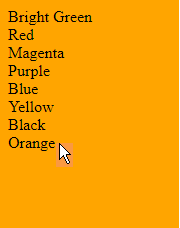 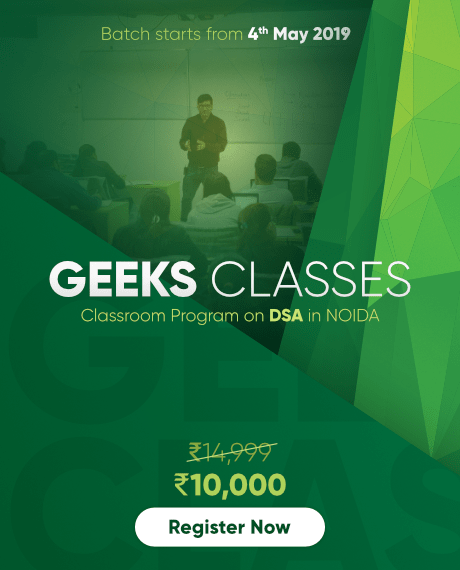 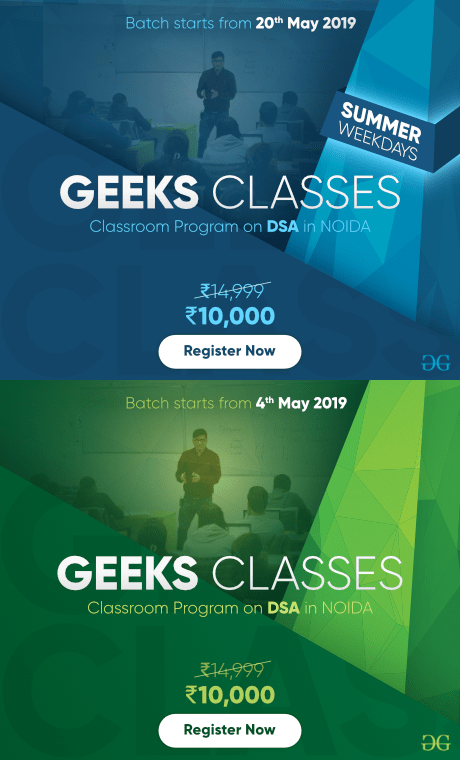 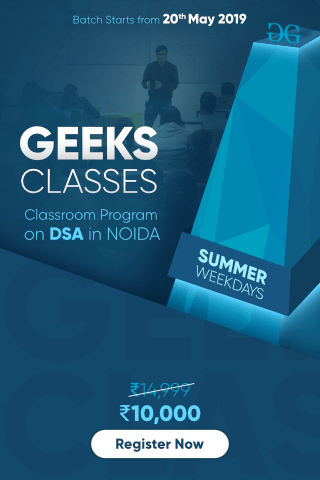 Background colour property specifies the background colour of an element.